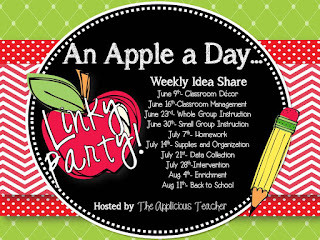 I am linking up with Leigh, from The Applicious Teacher! She is having a behavior linky party and I love to talk about my behavior plan. I've been teaching for 19 years, and during this time I have tried just about every behavior management gimmick known to man. I can honestly say I have finally found a management system that truly works for every child in my class. Even the hardest to manage child. I know many of you have heard of and are using the clip chart system, but, just in case you haven't heard of it, or are skeptical, I thought I'd take this opportunity to explain how and why it works. 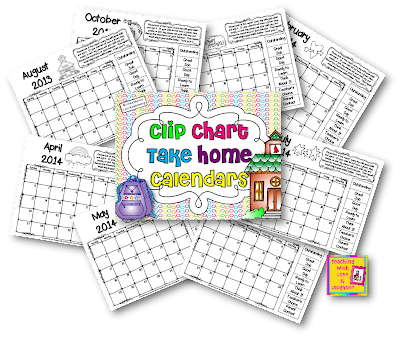 The clip chart consists of a chart that has been divided into levels. All of the children start the day on Ready to Learn. Then, during the course of the day, the children move their clothespins up or down the chart, based on the behavioral choices they make. If they are making good choices, they can move their clothespin up a level at a time. Inappropriate behavior would cause them to move down a level. Since the children start in the middle of the chart, they have numerous opportunities to work their way up the chart. This really helps the children realize that they have to have self-control and be responsible for their actions and behavior if they want to be recognized for making good choices. Making it to the top of the chart is not easy, but it is definitely attainable. The children quickly realize how they must conduct themselves in order to achieve this goal. In the beginning of the school year, only 2 or 3 of my students made it to the top of the chart each day. But, as the days, weeks, and months wore on, more and more of them went home on red (the top of the chart). By the third quarter, just about all of them were clipping up to the top of the chart every single day. This speaks volumes! Even my most severe behavior case (someone who used to kick, spit, scratch, knock my tables over, and wreak havoc in my classroom) began to go home on red just about every single day after a few months. The parents love it, substitute teachers love it, and, most importantly, the children love it. go the extra mile to help a student in need. are the first or second to do what I ask. are extra polite and respectful. interrupt me when I'm teaching. are disrespectful to another student or adult. cannot sit still or purposely keep another student from learning. do not behave during lunch time or specials. The children quickly realize how to behave appropriately in all kinds of situations. To make it to the top of the chart (or beyond) means so much to them because they see how proud I am of them. They are six feet tall when asked to clip up. CLIP CHART UPDATED JULY 2014! These are the calendars I use for the children to document how their day went. You can download them for free by clicking here. Click here for an editable version of these calendars. There is so much more I can say about the clip chart, but, my post is already super long. If you have any questions or want more information about how I use the clip chart and 1-2-3 Magic, please don't hesitate to ask. I am going to use a clip chart this year in the classroom. I have altered the language on each section, but the idea is still the same. Did you hang your chart from a hook? Also, what material did you use for the chart so there is space between the chart and wall to clip clothespins? I hope that makes sense. Hello, Storie! Yes, I bought little hooks from Wal-Mart. My clip chart is made out of paper and then I laminated it for durability. The hooks helped to create a space between the wall and the clip chart. I am so glad you will be using one next year. I just love it! Let me know if you have any more questions. Hi! I'm familiar with 1-2-3 Magic. Do you count "1" which means move down one, etc., so that a "3" means Teacher's Choice of consequence? Or do you count to three and then move down a notch? The 1-2-3 Magic program hasn't worked the best for me at home because it seems like my kids would always act up twice or ignore me twice before reaching three, meanwhile my blood pressure was rising. Do you think this type of chart would work in the home setting? Thank you! I love it for the classroom. If I say, "That's 1," that is equivalent to one clip down. So, a "That's 3" is Teacher's Choice. I do think a clip chart would work at home because some of the parent from my class made one for their home since it works so well at school. I love the clip chart. Thank you for sharing how exactly to use it. It is on my list of things to make. I wanted you to know that yorkies are my dream dog. I used to have schnauzers before I had the girls. One of mine has allergies and takes shots along with lots of meds. Dr says no dogs. Maybe someday...I just joined as a follower. Looking forward to great ideas here! I LOVE yorkies! They are usually hypoallergenic dogs, so, you may be able to get one or two in the near future. Schnauzers are so cute, too! And, you are welcome about the clip chart. There's so much more to say about it, so I may have to do a part 2 post. Jen, you are too funny! LOVE this Lory!! I use a system very similar, but there are only 2 steps up and 2 steps down. My kids earn a punch in a punch card if they are above white (our neutral color), but I LOVE that you have the kids color their star so their parents know what color they are on!! I'm going to implement that part next year!! Thanks for the wonderful ideas! You are so welcome, Nicole! I like for the parents to know how their child does in school each day. I love the idea of punch cards! Love this Lori! 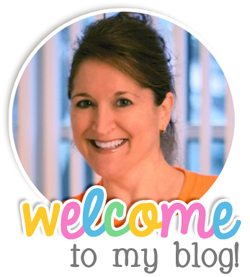 Congrats on the guest blog! I joined, Jessica! Wouldn't miss it! This looks great! Would you be willing to share your behavior report in an editable format? It would go great with my movie themed room. I use a clip chart as well and love it! Cathy, I emailed it to you. Enjoy! This is a fabulous addition to my clip chart!! I love the accountability! Can you possibly email the editable format to me, as well? Love the clip chart! I've used it for four years and have loved how it inspires the kids to work to get off the chart. I can't begin to count how many times I am greeted with, "I'm going to get off the chart today, Mr. Smedley!" And I hear lots of parents encouraging their child to get off the chart! And I love that it allows for teachable moments and lots of discussions about making mistakes and learning from them!! I am revamping my chart as we speak! It's going to be "monstrously" cool when I'm finished! I hope you'll check it out on my NEW blog and share with your followers! I look forward to checking out your monstrously cool clip chart! Now that I am following your blog, it will be easy for me! LOL! I love your clip chart. I think I will have to try it out. I have used punch cards, and really like them but I like the thought of the kids coloring in their star for parents to see. There seems to be more accountability. Would you be willing to share your behavior report? Thank you for the inspiring post! hello!! i love the clip chart idea!! would you email me your bahavior report too please? jayceekezar@live.com. thank you! Thanks Jaycee! Which behavior report are you referring to? Thanks for this post- I am definitely going to use the clip chart next school year. Love how you have the students color in their star for the day----easy and effective way to communicate behavior with parents. Would you be willing to share the form? Like so many others, I'd love to have the editable version of the month report for parents. Thanks for sharing!!! This is great! So glad I stopped and took a look. Any chane I can get a copy of the behavior report to parents? I'm so glad everyone likes my daily behavior report. I just uploaded the document to dropbox, so you can click the image and download it. The reason I didn't do this before is because if you don't have the font I used (Doodle Tipsy), it will not be formatted properly. Hopefully, you all have the font or you can change it to something else. Enjoy! Thank you for sharing this, my hubby just got me the 1-2-3 Magic book so I'll see how the clip chart works with it. I am an elementary music teacher and teach 30 classes a week. Do you have any ideas on how to modify this to use it in the music classroom? This looks awesome! I love how the students can work their way back up even after they have made a poor choice or two. Could you share an editable version of your monthly chart with me also? I would love to adjust it slightly to go along with my Hollywood themed classroom! Laura, if you click on the image, you can download an editable version of the behavior report. Jennifer, I use this with 3 different classes. I think it could work for you if the classroom teachers all used it and then you used it when they come to visit you. The take home behavior reports would be issued by each classroom teacher. To use the clip chart for 3 separate classes, I have a clip board version of the clip chart. If you want to see, email me and I'll send it to you. Thanks Lori. I figured it ou, sort of, after I posted my question. Unfortunately, I can't figure out how to get it with the stars on it. I'll keep trying. Ooops! I meant out not ou! Laura, make sure you install the font so everything is formatted correctly. I have used the clip chart for two years and absolutely love the concept. I love to see how excited my students get when their peers slide up! My principal had me present the chart at our last staff meeting of the year and now there are about 10 teachers at my school who are going to implement it next year... I'm thrilled! I really like how your students record their behavior on a monthly sheet. Right now, my form is weekly, so I might switch it up next year. Thanks for sharing! Kate, good for you for presenting the clip chart to your school. That's wonderful. I would love to do the same. I ran across your original post while blog stalking you! I posted about my plan for behavior management this coming year and I had to mention you because your idea is what I'm "stealing"! I linked back to your blog. I hope you don't mind. Thank you for sharing. I absolutely love this idea! I teach 1st grade and am looking for something new to use for next year. Would you mind emailing the editable version of your behavior chart for parent folders to me as well? I can't wait to see how well it works! Lorrie, I'm so glad you're going to try the clip chart. You won't be sorry! If you click on the image of the take home report, you will be able to download an editable copy. Just be sure to download and install the font, too. Thanks for sharing this clipchart record sheet. I'm planning to use it with my firsties next year. I'm a third grade teacher and am excited about implementing the clipchart this year. I'm a little confused how it works if a student clips down to Parent Contact. Can they clip back up that same day? How do you document that for parent's understanding? If a student clips down, they have the rest of the day to clip back up, based on the choices that they make. I don't do a Parent Contact. Mine says Teacher Choice, so I can make the decision to contact the parent or not. If a child's behavior is very poor, I will choose to contact the parent. I have a behavior note that I will send home in addition to the daily report. Thank you for sharing your ideas and management system with us! Thanks for linking up. Do you have a parent letter you send home in regards to your clip chart system? How in-depth do you go? Any information you share is greatly appreciated! I am so happy I found this!! I have been looking for something to use this coming year because I wasn't happy with what I did last year, and this is it!! Thanks for sharing this. I too would love to see your parent letter. I am ready to go except for the parent letter. I was also wondering do you notate the daily changes whether they moved "up" or "down" though out the day? How do you track those changes? Thanks for sharing this system. Cynthia, I do not have a parent letter because I discussed the clip chart at Open House with all the parents. I do not note the daily changes because the most important thing is where they end up at the end of the day. What if the child was on Great day & then made a poor choice in behavior? Would they just clip down once to good behavior (even though their action wasn't good?) Or would they go straight to Think About It? I would have them clip down to That's 1 (Think about it). Such a far fall makes them think twice about falling in the first place. Wow! This is so great! I can't wait to use the clip chart in my Kindergarten classroom next year! Would there be anyway you could send me the actual chart in a word format? I wanted to change some of the wording slightly. Will be implementing your program. Hi. I read that you are a project CHILD teacher. I am new to PC (I am K-1-2 Math) and am wondering how you implement this with your three classes? I love the idea, just wondering if students move their clips based on where they were in the last room, or if it is a fresh new start? How nice to find another PC teacher. All 3 of us use the clip chart and I made a traveling clip chart that we keep on a clip board. I'll email you what it looks like and then you can make one to fit your needs. If a student comes to me on anything less than green, I give them a few minutes to prove to me that they can start all over again and I clip them back up to green. Works like a charm. Please, let your co-workers know that I blog a lot about writing. I'd love to get more PC followers. We can totally learn from each other. I will be using something similar. However, I just downloaded your behavior report which I customized to my chart. Great idea! I'm teaching first grade for the first time this year, so I'm excited and hope this behavior management works! Are parents generally acceptable to this? I also have a yorkie and a german shepard...Love yorkies! Good luck to you! In my experience, the parents love this system because it accentuates the positive. I am starting the clip chart system this year. Could I please have your behavior report in an editable format? I'd really appreciate it! Thanks for linking up! I'm really think of doing the clip chart! I love that they can move up! I LOVE YOUR BLOG!! I have found a fantastic way to reward students with Brag Tags. They motivate my students to behave with the promise of a reward Tag they collect for other Tags throughout the year. The tag "Caught Doing Good" Tag is one of my favs. They are only 15 cents each! BARGAIN!! Find them at www.boostpromotions.com. hi! i just started teaching in a city school (i formally taught severely disabled kids)in a self contained 6th grade classroom. i am currently using the flip chart method (green, yellow, red) and i feel that it's not working so great. i really want to turn around the behaviors in my room asap esp since it's only september. I think i may try this method starting monday. any ideas of what you do for teacher's choice? I think you'll see positive results with the clip chart. Teacher's choice can be anything I want it to be: note, email, or phone call home, loss of privilege, time out, sent to principal's office. The severity depends on what they did wrong. Good luck! Lori, thank you for sharing this! I recently started using a clip chart with one level up from start (ready to learn,) and I have three levels down. I am having some trouble with my class this year, I have quite a few active boys who regularly go home on red which is my worst color possible. I have been advised by admin to take a look at my behavior plan because it seems to be ineffective. When I saw your chart with many colors above start I thought maybe this could work. I am curious though, do you let students move back up the chart if they change their behavior? Amy, I absolutely let my students earn their way back up the chart if they clip down. It's important to do so or else they won't try to improve their behavior if they think it won't do them any good. Also, having only one jump up from Ready to Learn is definitely not enough. These kids need to keep striving for outstanding. That's why the clip chart should have 3 colors above Ready to Learn. I think you should see results by adding more colors. Just found your blog while looking up something else, can't remember what it is now (LOL). Anyway, I use a clip chart for my 1st graders. I love the idea of certificates and plan to implement that in January. I also love the idea of having the students color their calendar as I spend too much time circling the color on each student's monthly behavior chart. Doing it themselves gives more ownership and is an activity which could be done quickly at the end of the day while packing up for dismissal. I see where others have asked for an editable version and would appreciate it if you could email that to me. My email is jpgdst4@aol.com. Thanks so much for sharing. I started using a clipchart this year and love your calendars. Thank you for sharing all this great info with us! Hi Lori I love this idea and I'm totally going to use it but only a question what's the meaning when a Kid gets to the part of "teacher's choice"?? Found your clip chart post while searching for something else. I have a similar clip chart already in place but will definitely be using your clip chart with monthly calendar component next school year. Is there any way I can get the calendars e-mailed so I can modify calendars for next school year? Or can you please e-mail me a set of calendars for next school year? My e-mail is woods025@me.com. Thank you. This is great! I would love an editable version for next school year. I will definitely be using this and want to get a jumpstart on it! My e-mail is woods025@me.com. Thank you! THANK YOU THANK YOU THANK YOU!! For explaining how and why the clip chart works. I have been teaching 8 years now and I have just about given up with all the systems recommended to me. They all worked for a year and then no such luck. But I am so happy to hear about your experience and look forward to using it this year- and all the ideas for rewards, etc. I really appreciate your ideas and willingness to share!!! Kudos and God Bless. Thank you so much for explaining...I am starting it this year and was unsure on when to clip up or down to use this system most effectively. Samantha, congratulations on your new job! How exciting! I wrote this post many years ago and no longer use 1-2-3 magic. However, while I was using it, it worked like a charm. That's 1 would be equivalent to one clip down. That's 2, would be the second clip down. That's 3 would be Teacher's Choice. I like using Teacher's Choice because that puts me in control of the consequence, which I base on the nature of the infraction. It could be anything from moving away from the group, working alone, a note home, etc. It depends on what they did to get all the way down on the chart. Honestly, as the years went by, I found I didn't need 1-2-3 magic because the clip chart worked so well, I rarely had children clip down more than once. I highly recommend the clip hall of fame. That was definitely a game changer. I wrote a blog post about that, as well. Good luck to you! I'm sure you'll love it! Hello! I see this was an older post originally, but I was trying to get some of the links (the individual charts and such) and was wondering if it's possible to still get those. Thanks! 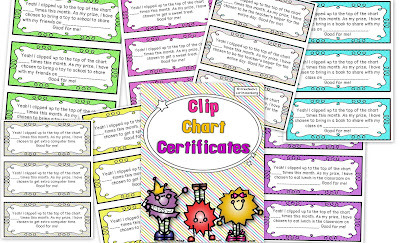 I still have the clip chart certificates. If you email me, I will send them to you. The clip chart is a freebie in my store and the link should still work for that. The calendars are also in my store, but are no longer free. One thought: I don't recommend starting the year with the CC. I always held off introducing it until I felt my students were displaying a bit of self-control. Because the one glaring issue with the CC, as with most discipline programs, is the lack of any record keeping for inappropriate behavior. In other words, when the student is still at Parent Contact when the day ends, what do you discuss with the student? What do you tell the parents? I say better to wait for more self-direction on their part so that the focus of your newly introduced CC will be on the positive side of things. Bottom line: There's no rush. You've got the students all year. Thank you so much for your insight, Rick! And, thanks for stopping by!